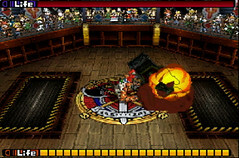 Back in June XSEED Games announced that they would be bringing over Solatorobo: Red The Hunter to North America later this year. 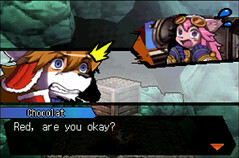 We've gotten some screenshots of the game since the announcement but the publisher wants to let players know more about the game's story which can be seen in a new batch of screenshots and a new trailer. 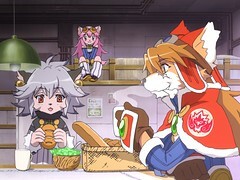 Released in Japan last October, Solatorobo (literally translated "sky and robot") takes place in the Shepherd Republic, a series of floating islands that are populated by two distinct races of anthropomorphic dog- and cat-people. While very human-like in their nature, both of these races have evolved to use specially-built robot mechs (or Robos) in their everyday lives. 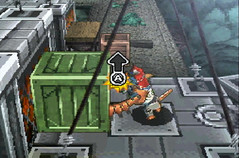 As the story of Solatorobo: Red the Hunter develops further, Red and Dahak will travel throughout the Shepherd Republic, meeting new characters along the way and uncovering the truth behind a mystical artifact he has discovered. 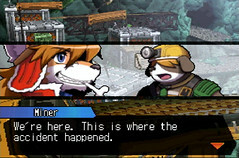 XSEED Games currently has the title pegged for a Fall 2011 release on the Nintendo DS, with more information coming in the following months.